Rheinmetall and Rohde & Schwarz will form a joint venture company to bid for two major Bundeswehr procurement programmes: MoTaKo (Mobile Taktische Kommunikation, or mobile tactical communication), and MoTIV, which stands for “Mobiler Taktischer Informationsverbund,” or mobile tactical information network. The establishment of the joint venture is still pending anti-trust approval. Rheinmetall will hold a 74.9% share in the new company, with the remaining 25.1% held by Rohde & Schwarz. Back in March 2017, both companies agreed to a wide-ranging partnership to play a leading role in the future digitisation of Germany’s ground forces. The joint venture will draw on the expertise and solutions of additional partners to put forward the best-possible proposal with respect to capabilities and competitiveness, while taking due account of national confidentiality and security imperatives. 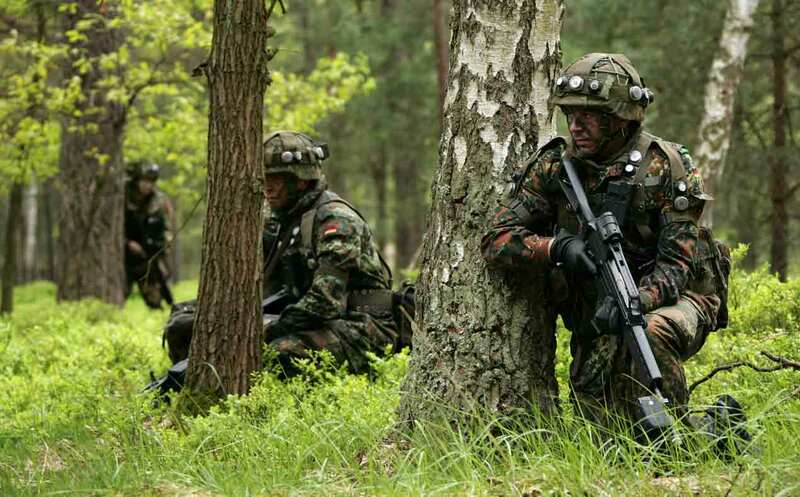 MoTaKo and MoTIV are the German Army’s principal modernisation projects for ground operations, with Bundeswehr’s entire communication system and thousands of vehicles earmarked for retrofitting in the medium term; the scope of applications extends from tactical operation centres down to the individual infantryman on the ground. In the new joint venture company, Rheinmetall will be responsible for the command systems, the cross-functional operator interface and the complete vehicle integration process. Drawing on its core competency of secure communication, Rohde & Schwarz will oversee the complete architecture, including IT and cybersecurity, as well as the IP-based system solution for robust, military voice and data transmission, including incorporation of components and solutions from other contractors. A huge, highly sophisticated, time-critical project, MoTaKo and MoTIV are also vital for protecting the Bundeswehr from cyber threats, and will require full integration into the German military’s IT system. Co-operation between the two companies and other contractors will result in an overarching approach based on market-ready, steadily evolving solutions.